The secret behind this is called ranking, ranking occurs when drivers are added to the driver store and that happens of course when we deploy a new Windows 7 machine and drivers are injected. 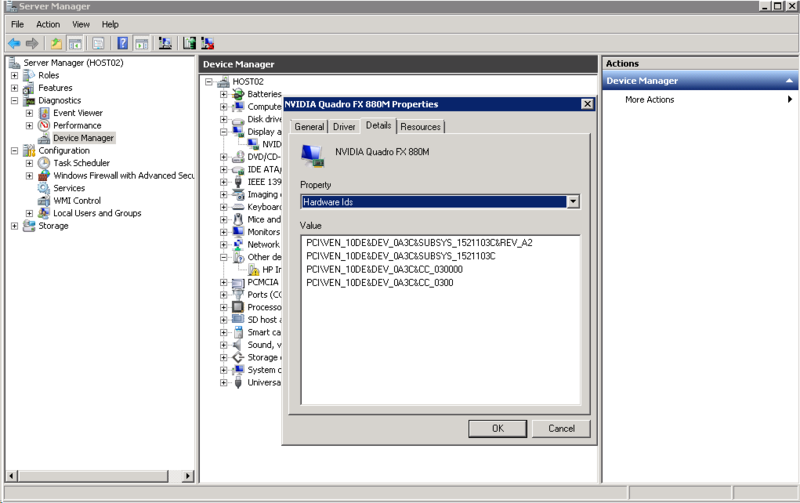 When using MDT in a LiteTouch configuration, the LiteTouch script will do a Plug and Play scanning of the hardware and the use the information the get the correct drivers from the MDT out-of box drivers folder. Now, MDT cant really “know” if that particular driver is the perfect driver so it will copy all drivers to the \Drivers folder on the machine to be deployed. But if you use Driver Groups or any other method that will “filter” the drivers the script would then only copy the one and only driver need. Well that’s in the perfect word and since that does not exist we will get multiple drivers copied down to the \Drivers folder and then when MDT (using DISM in a offline mode) pushes those drivers into the OS there will be scenarios when we are going to have drivers that have the same PNP number and Windows must choose the correct one and now its time for ranking. In the best of worlds, when all the vendors created perfect drivers and everyone is always running the latest and the greatest this would not be a problem. But in the reality not all vendors have a perfect .inf file, in fact some of them are uglier then others and they does not even work. Well, here is when the fun begins, the feature score is something the vendor decide by themselves, but to be honest I have not seen this being used by anyone. It should popup in the .inf file if they do. And you can see that I have four different PNP numbers on this one, the top one is the exact match, the bottom is kind of generic. The better driver I have the better it will match the top of this list and that will make a low value. Thanks for taking the time to make the complex less so. Like you said in the beginning, I haven’t given this much thought until now. Interesting, Great post! Pretty interesting post.. I have a situation here..
Dell E6420.. Trying to load Win7 using MDT.. Image deployment is successful, however, I receive a code 12 error on Intel HD Graphics.. Display resolution is set at 800×600 and there is no option higher than 1280x6xx..
I’ll guess that the driver is not loaded. Make sure you have the correct driver.